Dueling Pianists for Felix and Fingers have a unique job. Our office is different everyday, our responsibilities to our clients vary with each assignment, and it is essentially our job to make our clients for get about their own jobs and just have a good time. We’ve played countless corporate events, and each one is a little different. Some are meant to celebrate a recent success, and some are in place just to give everyone a break from the everyday. We’ve seen lots at hotels, some at recreation centers and some right there on company grounds. 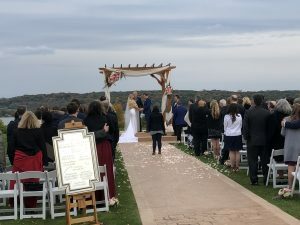 The corporate event I played on October 3rd in Lake Geneva, WI was all new for me, though! First of all, I was “dueling” solo, and second of all, the event was on a boat… The Duchess, to be exact! This was only my second time in Lake Geneva, and actually the first was only a few months ago. That time we were there for a wedding reception in the historic Baker House, and got to enjoy what a Lake Geneva evening had to offer. October 3rd, I was there to provide entertainment for a lunchtime cruise on the lake, and it was a completely different experience! I’d never been down to the Marina before, so I got there a little early to make sure I’d have plenty of time to get loaded in. The staff there was so friendly and easy to work with, it was a great start to the day! Lake Geneva Cruise Line has eight boats in their fleet, each different from the next, designed to meet the needs of whatever you might be looking for! The Duchess suited this particular event perfectly; it was a smaller crowd looking for an intimate setting to enjoy each other’s company and have a nice meal and cocktails on the lake. Unfortunately, that particular weekend was one that seemed to hit everyone hard with the flu, so it was a smaller crowd than we’d even expected! As we say at Felix and Fingers, though, there are no problems… only opportunities. The smaller crowd allowed for more crowd interaction, and so it became easier to talk with guests individually, joke around and find out a more specific taste in music to entertain them with! Meanwhile, it may have felt like a normal request show, but our surroundings kept changing! Lake Geneva Cruise Line took us all around the lake (which is much bigger than I thought!) 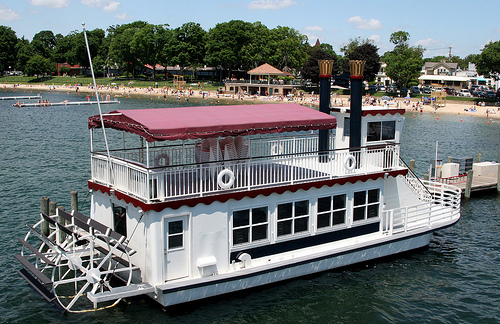 to see how beautiful Lake Geneva is from just about every angle. It was certainly a new but welcome experience to have something new and gorgeous to look at every time I looked up from the piano! For more information on Lake Geneva Cruise Line, visit www.cruiselakegeneva.com. 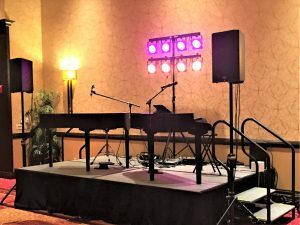 To book Felix and Fingers for your next event, visit www.felixandfingers.com.